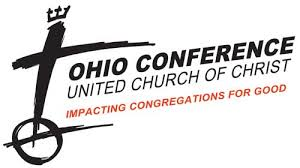 I've contributed a post to the Ohio Conference UCC blog, Holy Experiments, entitled What Churches Can Learn from Doctor Who. A few weeks ago, the BBC announced the newest person to play The Doctor beginning next season: Jodie Whittaker, the first woman to take on the role. When the show returns for its annual Christmas episode this December, we will see the current Doctor played by Peter Capaldi transform into Whittaker’s as-yet-unestablished version of the beloved character. As you might be able to imagine, this has divided the fanbase. And even if you’ve never seen the show, you can probably make some educated guesses as to what those on each side of the debate are saying. And you might be wondering what any of this has to do with the church. Read the whole thing at Holy Experiments.